If you don’t know the answer or even if you do, I implore you to take a look at this fantastic video! 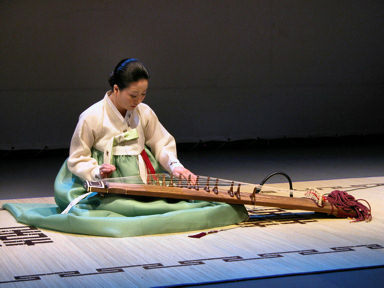 As regular visitors of my site may know I love to feature unique instruments and sounds not often heard in popular culture, so todays weird and wonderful instrument is a traditional Korean instrument believed to have been developed in the 6th century and later improved into the more common Sanjo Gayageum. If You Love Music, You’ll Love Adam Hurst! A Lazy Person’s Guide to Making Turkish Coffee! ← Previous Post: WARNING: This Video Might Make You Cry!